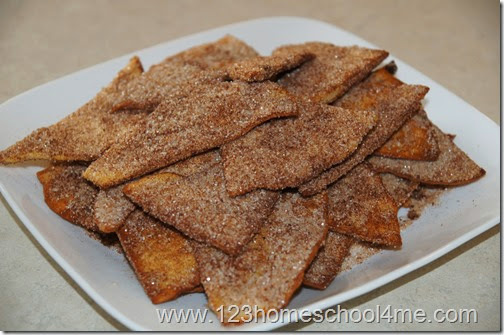 Here is a delicious, easy to make homemade treat your family will love – Cinnamon Sugar Tortilla Chips. This easy to make homemade dessert is a great way to use up leftover tortillas. This is just one of all recipes I’ve shared on this blog of our family tested recipes! Here are our favorite homemade tortilla recipes. 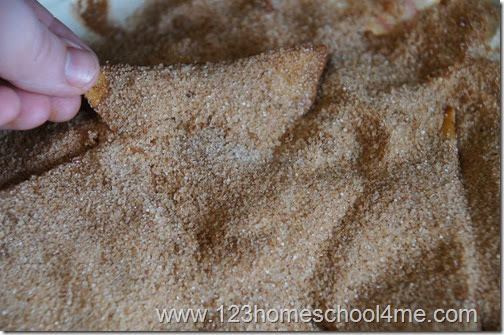 Now you can use them to make these delicious Cinnamon Sugar Tortilla chips. 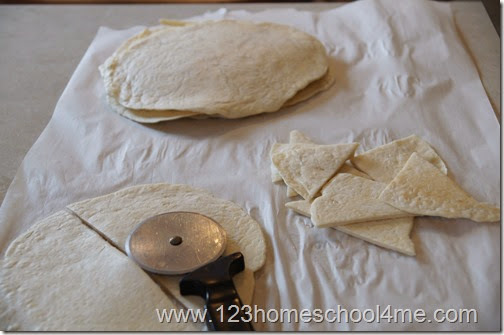 Cut up your tortillas into triangle chips using a pizza cutter. In a pan heat oil. We used Coconut Oil for a healthy, slightly sweet taste. 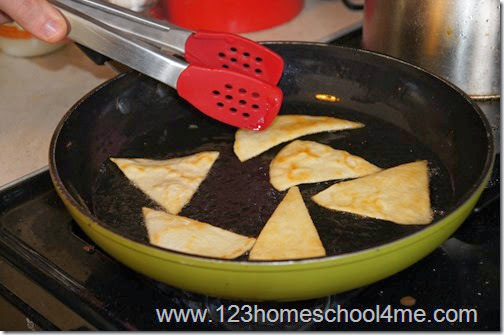 Place tortilla chips in the oil and brown slightly and turn; it will only take 20 seconds or so per side. When they are finished cooking on both sides immediately place them in a cinnamon sugar mixture to coat both sides. Continue until all the chips are thoroughly coated. Note: We mixed 1/2 cup sugar and 1-2 TAB cinnamon to make our cinnamon sugar mixture. These are super yummy and will become a favorite in your family too. My kids are always hoping for extra tortilla shells now! These are extra yummy with whipped cream and even chocolate sauce or honey.